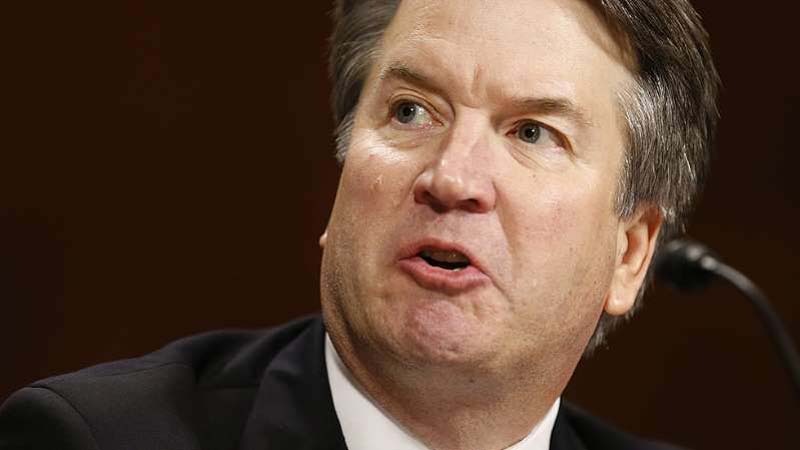 More than 650 law professors nationwide signed a letter urging the Senate to reject Supreme Court nominee Brett Kavanaugh, citing concerns about his temperament during a Senate Judiciary Hearing last week. The professors wrote in a letter published in The New York Times that Kavanaugh's performance during the hearing - in which he vigorously denied allegations that he sexually assaulted Christine Blasey Ford - would be disqualifying for service on any court. The letter is expected to be delivered on Thursday. "Judge Kavanaugh exhibited a lack of commitment to judicious inquiry," the professors wrote. "Instead of being open to the necessary search for accuracy, Judge Kavanaugh was repeatedly aggressive with questioners." The professors cited Kavanaugh's fiery opening statement, where he decried the hearing as part of an "orchestrated political hit" based on anger over the 2016 election and "revenge" on behalf of the Clintons. Among the signatories are 20 professors from Harvard Law School, where Kavanaugh has taught in recent years. The school announced this week that Kavanaugh would not return to teach a scheduled course next semester. Kavanaugh's nomination has been imperiled after three women accused him of sexual misconduct. Senators are expected on Thursday to review an FBI report from a supplementary background check that investigated the allegations against Kavanaugh. GOP senators have said they intend to vote on Kavanaugh's confirmation this week, while Democrats have raised concerns about the thoroughness of the FBI review of the allegations. Ford alleged Kavanaugh pinned her to a bed and groped her during a high school party in the 1980s. She and Kavanaugh both testified about the incident last week. Deborah Ramirez then came forward to allege that Kavanaugh exposed himself to her during a party at Yale in the 1980s. Julie Swetnick claimed that the judge was part of a group of high schoolers in the early 1980s who tried to inebriate women so they could be "gang raped."